Compare to the cover price of $6 per issue on Amazon.com! This comes every other month, and you’ll get 2 years free. That means you’ll get 12 issues for $0.00. 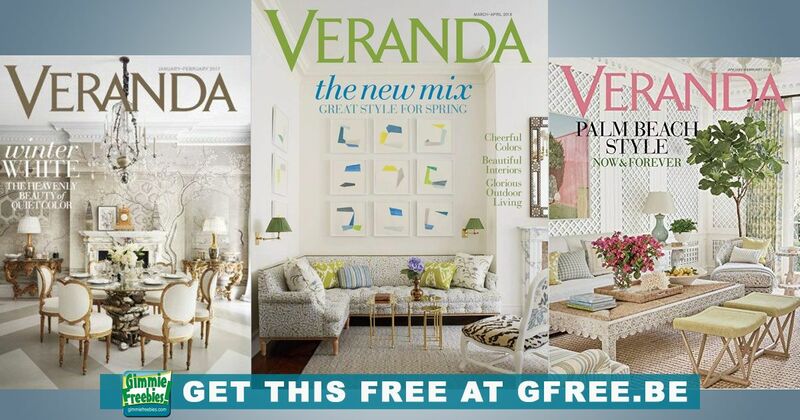 Now, claim your Veranda Easy Living – if you already get it, be sure to use the exact same name and address so you get two full years instead of two magazines every month. Visit the world’s most fascinating interiors and view the work of leading designers in stunningly beautiful pages filled with the latest and best home furnishings, table settings, garden ideas and cuisine. Click link above to get your subscription totally free! Allow 4 – 12 weeks for your magazine to start arriving in your mailbox. No credit card required, and you will not be billed.